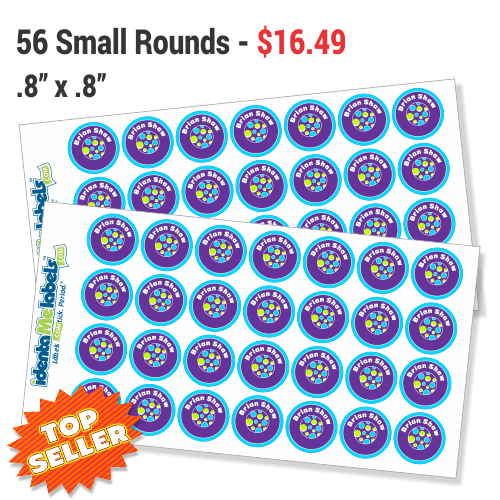 Small Round Clothing Labels - .8"x .8"
#1 Seller - Stick on labels for clothing! 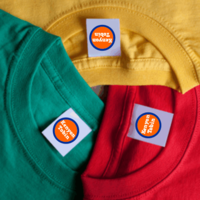 These clothing labels are laminated for long-lasting durability. Stick labels to garment care tags or brand stamps. Stick on labels for clothing. No ironing or sewing. Waterproof stickers are laminated so they're super durable. so they're wicked sticky and will stay stuck through the laundry cycle over and over again. Peel and stick to any garment care tag or directly to the manufactures brand stamp. 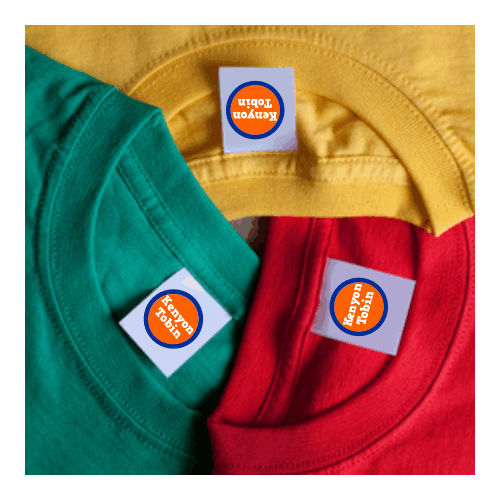 Customize and order our clothing tag labels to stick to t-shirts, jackets, uniforms and more. Our laundry safe round labels will last and last! Are your kids infamous for leaving their things behind? 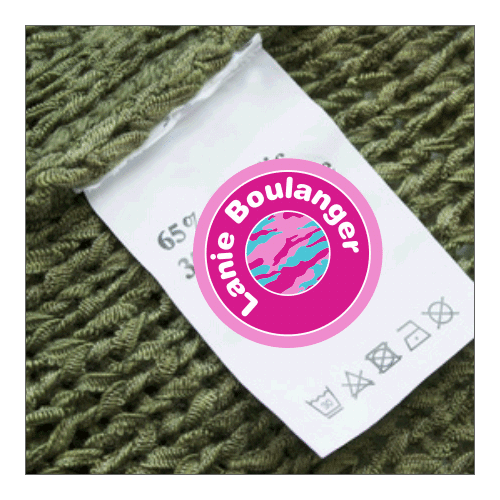 With our washable clothing tag labels, there's a much better chance their things will be returned! 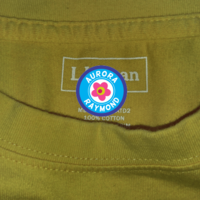 You might also be interested in our Iron On Small Round Labels! Product Safety Information Our Small Round Labels SHOULD BE APPLIED BY AN ADULT or WITH ADULT SUPERVISION. 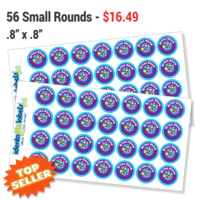 All of our sticky labels are made with non-toxic materials and eco-solvent inks. Our labels are super sticky and durable but they're not truly permanent. They're made to come off with intent. Continued picking or chewing can make a label come loose from clothing and other materials. Keep an eye on the labeled items if they're going to be used by young children to make sure that they stay intact and are not accidently ingested. be especially careful when labels are used on teething rings, pacifiers, blankets etc. 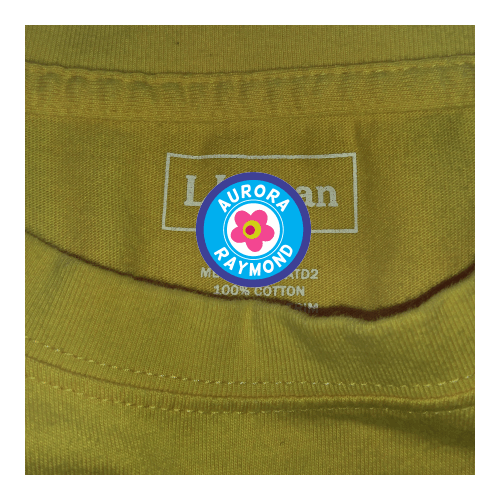 Our Small Round Clothing Labels are laundry safe. 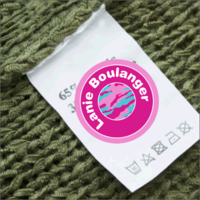 On clothing - stick labels to the garment's care tag or directly to the brand stamp. Apply the Small Round Labels to a part of the fabric that doesn't get stretched alot then pop the clothing into the dryer for a few minutes to heat the labels. While the labels are still warm, use your finger to go over them one more time. Your Small Round Labels will ship using USPS First Class mail unless you choose one of our faster options when you checkout. The faster options are USPS Priority, USPS Express, and FedEx Three Day. We can also ship your labels using UPS or other FedEx options - just give us a call and we can work out the details and the cost with you. If you'd like to provide us with your UPS / FedEx account number, we'll have your account billed directly. kids, I needed more primarily for their clothes. shoes, boots, underwear, toys and blankets. little round labels are by far my favorite size! kids have blown through these I'll be back!